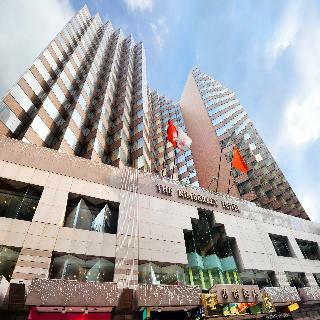 The Langham Hong Kong is situated in the heart of Kowloon's business commercial and entertainment district Tsimshatsui. The surroundings area boasts superb designer boutiques and entertainment options appealing to travellers who enjoy vibrant nightlife. The hotel is located close to Canton Road just a few minutes' walking distance from Victoria Harbour and Tsimshatsui MTR underground station for ease of access around the city. The hotel features a refined European style and holds its own as a landmark hotel in the city. Guests will be captivated by the sense of timeless charm and elegance that carries through the hotel from its spectacular lobby with its elaborate chandeliers to the timeless beauty and opulence that the charming guest rooms exude. For the convenience of business guests the captivating grandeur and elegance of the business and conference spaces is sure to impress. Centrally located in the bustling shopping and entertainment district of Tsimshatsui in Kowloon, The Kimberly is the perfect option for a city break. Within easy walking distance of the hotel guests will find a myriad of cultural and historic attractions as well as shoppers' paradise. The stunning guest rooms epitomise contemporary style with a neutral colour scheme and blonde-wood furniture creating a distinct ambience. For the convenience of business guests the hotel provides 2 multi-purpose rooms and a business centre. For the more energetic guests the hotel's gym offers the very best in fitness equipment and the health massage treatments available will ensure that each guest experiences the utmost in relaxation. This stylish and innovative hotel offers a prime location on Kowloon's busy shopping street of Nathan Road and is close to a good choice of restaurants and bars at popular Knutsford Terrace. Tsimshatsui MTR station is just a few minutes’ walk away allowing convenient access to the rest of Hong Kong's tourist and commercial districts. The vibrant guestrooms pay special attention to the technology conscious with LCD TV, docking station, free Wi-Fi and “My Mobile” system which allows guests to contact the concierge wherever they are in Hong Kong. Additional room facilities include air-conditioning, minibar, personal safe, tea & coffee making facilities and modern glass enclosed bathroom. Guests can enjoy a wide range of cuisines at the fun restaurant with open-kitchen concept, the Japanese restaurant, handmade chocolates and coffee at the coffee shop and al fresco dining at the Terrace Garden Lounge. Guests will relax at the Spa showcasing cutting edge skincare and body treatments, additional recreational facilities include an indoor swimming pool and fully equipped fitness centre. Overlooking Victoria Harbour, this hotel is located in Tsimshatsui Kowloon, amidst an array of shops, restaurants and museums. The hotel is within walking distance from the MTR station, Star Ferry, China Ferry Terminal and Ocean Terminal, providing easy access to the whole city and surrounding. The trendiest shopping centres and attractions, such as K11 Art Mall, iSQUARE, DFS Galleria, The ONE and IMAX Theatre, are all within walking distance. The business hotel Holiday Inn Golden Mile is situated in the heart of Kowloon's bustling city centre. 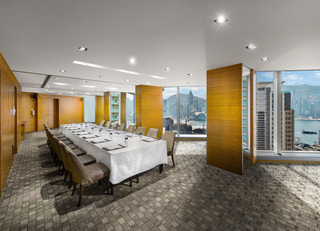 Offering guests ease of access to the commercial, business and entertainment district of Tsim Sha Tsui and to the main shopping areas of Kowloon the hotel is a haven for business and leisure travellers. A 5-minute walk away guests will find the Star ferry to Hong Kong Island and boat tour piers. Kowloon Park is 500 metres from the hotel and attractions such as Temple Street Night Market, Ocean Park & Middle Kingdom and Repulse Bay Beach are all within a 10-minute drive away.Boasting excellent business, dining and leisure options the hotel also affords guests tastefully-decorated guest rooms where the peaceful surroundings allow the ultimate in relaxation and a good night's sleep. Conveniently located on Knutsford Terrace in Kowloon's Tsim Sha Tsui district made popular for its al fresco dining options and close to bustling Nathan Road. This hotel offers a good value base from which visitors can explore the whole of Hong Kong as many sites can be accessed easily by foot yet the hotel is just a short walk away from a major MTR station. This small yet popular hotel has proved popular with European travellers for many years and despite its age offers elegant guest rooms and public areas with a high level of maintenance and cleanliness. The 177 guest rooms come equipped with en suite bathroom, minibar, tea & coffee making facilities, IDD telephone, air-conditioning, satellite TV and wireless broadband Internet access. Due to the modest size of the hotel facilities are limited; however guests can enjoy International Caf? serving buffet and a la carte options and the lounge for cocktails and refreshments throughout the day and evening. 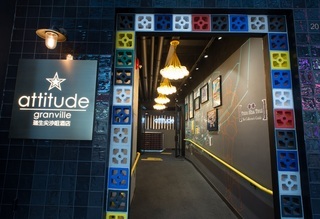 Soravit Hotels Group aims to create a hip and trendy boutique hotel on Granville Road that distinguishes itself from the surrounding accommodations.Located in the hub of Tsim Sha Tsui, attitude features a wide variety of landmarks in the area ranging from the Star Avenue, Clock Tower, Canton Road, Cultural Museum, cross harbor ferry and even the famous big yellow floating duck. 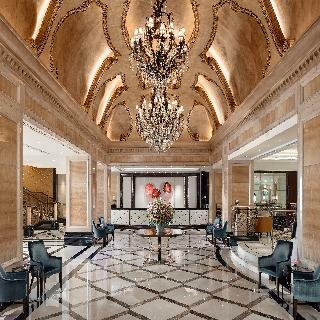 Offering guests a truly culturally rich lodging experience of Hong Kong. At Gateway, we never stop striving to be our best. We will soon unveil a spectacular new Level 17.Gateway Hotel is the ultimate place for modern comfort accommodation and a truly memorable shopping experience.This newly renovated business hotel provides the ideal balance of understated elegance, laid-back comfort and full attentive services in all its 400 guestrooms and suites, all equipped with complimentary Wi-Fi service. Complimentary mini-bar service in every room will be replenished daily.Enjoy your journey in Hong Kong to the fullest with a handy, a complimentary smartphone for traveller. Built-in benefits include unlimited 3G mobile internet, unlimited local calls, international calls (China, Philippines, Japan, United States, and United Kingdom) and Wi-Fi hotspot.Experience the tempting selection of the world's most popular cuisines at Three on Canton.Children under 12 years of age are not permitted to use the Club Continental Floor or enter The Continental LoungeExtra bed is not available during 05 Feb 2019 – 08 Feb 2019 inclusive. Located on Canton Road in Kowloon's Tsimshatsui district on the banks of Victoria Harbour. 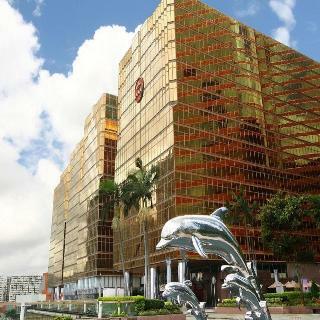 The MTR station, Airport Express and Star Ferry are within walking distance plus the hotel is directly connected to the China-Macau Ferry Terminal. The 673 guestrooms and suites have a modern design and come equipped with air-conditioning, IDD telephone, satellite TV, work desk, safe, minibar, tea & coffee making facilities, broadband internet access and ensuite bathroom. A choice of 4 food and beverage outlets include the stylish Pierside Bar and Restaurant with stunning harbour views and relaxed alfresco dining area, and for quick snacks grab a sandwich or pastry at the Park Deli. Additional hotel facilities include a fully equipped gym, 24-hour room service and business centre. Rates are not valid for nationals or passport holders of the following countries; China. The Best Western Plus Hotel Kowloon is located in town's most popular dining, shopping and entertainment district, Tsimshatsui in Kowloon. It is an easy walking distance to Nathan Road and popular shopping malls in Tsimshatsui such as Harbour City, Ocean Terminal, China Hong Kong City, Ocean Centre, The One, i-SQUARE, Miramar Shopping Centre, K11, Duty Free Shop (DFS) to name a few. There are hundreds of restaurants and bars. 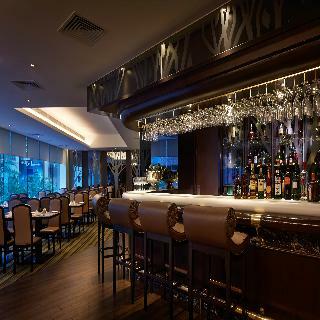 The city's trendiest places for drinks include Knutsford Terrace, Mody Road, and Tsimshatsui East in Kowloon. Within a 15 minute walk from the hotel, visitors can explore Kowloon's hottest attractions such as Clock Tower, Star Ferry, Tsimshatsui Promenade, Avenue of Stars, Space Museum, Hong Kong Science Museum, Hong Kong Stadium, Heritage 1881, Kowloon Park, Hong Kong Pulse 3D light show and A Symphony of Lights in Tsimshatsui. Hong Kong Polytechnic University is just a five minute walk from the Best Western Plus Hotel Kowloon in Tsimshatsui, Hong Kong. The hotel is well connected to all major public transportation such as the MTR subway, airport shuttle, public bus, train to China at Hung Hom Station and the ferry to Macau at China Hong Kong City. No wonder travelers are hugely complimentary on this Kowloon hotel's convenient location in Tsimshatsui, Kowloon. It has 205 guest rooms and suites. Some of the rooms have a pleasant view of the garden of Tsimshatsui East. All hotel rooms have free Wi-Fi access, LCD television, cable channels, in-room safe and tea and coffee making facilities.